I was recently in the lovely city of Bologna for work. I saw this skirt in the window of Dolce & Gabbana and it stopped me in my tracks. 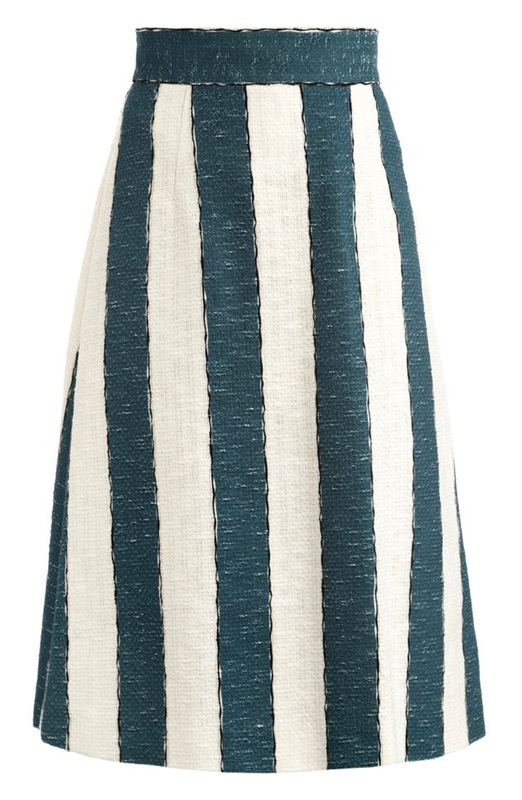 Stripes are huge this summer. I adore them but must be careful with horizontal stripes unless I want to look like a Weeble. I don’t. I love the black edging and think this skirt is very versatile. I could wear it to work, to an outdoor summer dinner party, or on a date to aperitivi with friends. It was fantastic! It’s the second time I’ve been there. Will write a post about my trip soon. I had a dream about the skirt. I need help.